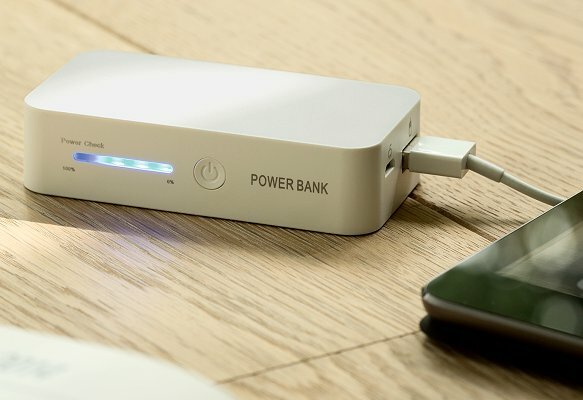 Power bank showing charging lights. 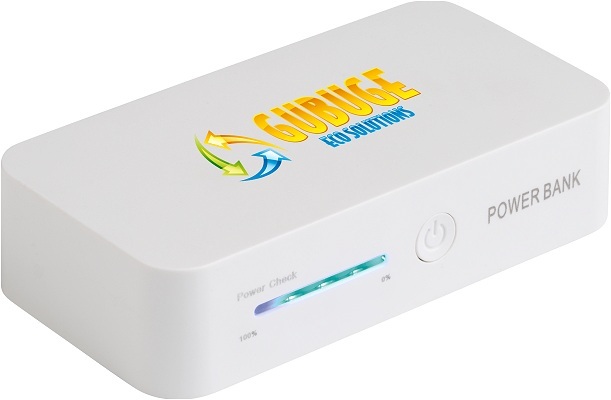 Power Bank Branded Gift charging an iPad. 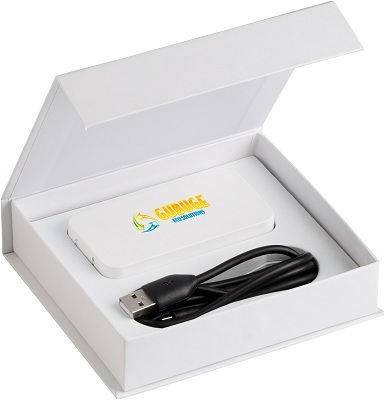 This powerful 5200mAh power bank with included white card presentation box with magnetic clip makes an excellent branded gift. When using digital print you get a large 84 x 40mm logo printing area to promote your brand.